I'm interested to see what Lisa comes up with after the Wake trilogy. EEEK!! I am totally wanting this too :) Great pick! Intriguing! Can I possibly wait till Feb? This looks soo good. I'll definitely be looking for it in February. Happy reading! This looks awesome. I can't wait for this to come out! Wow! This sounds great! It sound very nuanced and like it has a lot of depth. And I am a sucker for a good mystery. Great pick! I have not read anything by Lisa McMann, but her books are on my wishlist! This looks really good! I read her Wake series and I loved it so I'm excited for this one! Great pick! I'm also waiting to read this one! I haven't read the Wake series, but want to, and this looks great too! This book is so well-written and has such engaging characters, it is easy to suspend disbelief and buy into the supernatural elements of the story. 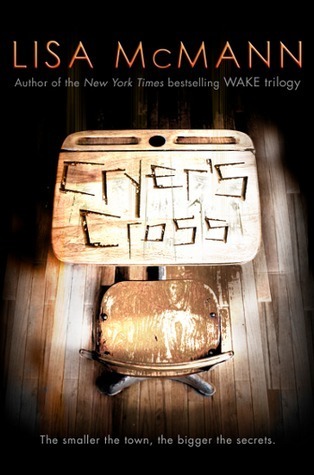 Cryer's Cross will appeal to both high school and middle school students, and will be enjoyed equally by boys and girls.